Iraqi Women Network proposes to Iraqi leadership the creation of the National Council for Women’s Empowerment, as an independent national mechanism for women’s affairs in Iraq. The proposal was discussed with the President Barham Saleh. 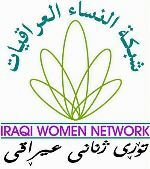 Since long time, Iraqi Women Network has been advocating to create an active partnership between various state authorities and along with CSO’s, media and gender studies and research centres to improve the status of women in Iraq and increase the role of women in realising stability, security, peace building, justice and development. Iraqi civil society organizations expressed their shock and disappointment at the format, methodology and content of the 2018 report by the Iraqi government on the implementation of the recommendations of 2014 of the CEDAW (Convention on the Elimination of Discrimination against Women). They argue that the report does not responds to the principles and texts of CEDAW on non-discrimination, equality and State commitment, as a frame of reference in the presentation and analysis of information, data and activities to measure progress. The crimes of honor or honor killings are not considered discrimination against women, but the official report denies the existence of cases of impunity in Iraq. Iraqi Al-Amal Association discusses the draft bill on “Protection against Domestic Violence"
Iraqi Al-Amal Association (IAA), Social Watch focal point in Iraq, conducted its second workshop in Beirut, to discuss the draft bill on “Protection against Domestic Violence". Activist Hanaa Edwar head of IAA said "Our aim is to explain and discuss the important bill, and to work with the MPs and consultants, in order to reach the full conviction required to adopt and defend this bill, which we hope that the current session of the House of Representatives will be able to vote on and pass it”. Adding: "this law will be a real shield against domestic violence, committed by one family member against another reaching to a relative of the fourth degree, mostly women and children are the victims of such practices, which constitute a hidden crime. The bill includes mechanisms for the protection of victims such as creating safe centers and providing the necessary care and rehabilitation, and to punish the perpetrators of these crimes. Also, there are other steps that could be taken by the media and civil society organizations and other parties to limit the phenomenon of domestic violence, which escalated to levels that cannot be tolerated”. As global women movement celebrates International Women's Day on March 8th, while everyone is silent listening to the anthem of freedom and peace, and what has been achieved in progress toward full substantive equality in rights, Iraqi women celebrate this day while they are either internally displaced, refugees, abducted, or as slaves and victims of sexual and physical and community violence, with extreme deterioration of their rights under a scene of growing projects and plans devoted to persecution and the violation of their dignity and degrade of their humanity, with alarming practices of exclusion and marginalization of women in decision-making places, which can be Inferred from the content of the Political Parties Law (No. 36) for 2015, which lacked the inclusion of Women Quota representation at the founding of the party and leadership structures. March 8th comes this year, with mounting concern, towards serious challenges that faces the country, given the weakness of the State and its institutions, and the escalation of the armed conflict among multiple groups, with the resurgence of violent extremism and terrorism through Daesh (ISIS) control of vast areas of Iraq, corruption and religious and political sectarianism at the State institutions and society levels, and absence of trust between the parties in the political process with the lack of national vision and concept of community reconciliation and social cohesion, as the protest movement widens among our people. Fifteen years after the adoption of Security Council resolution 1325 on women and peace and security, Iraqi women and girls are being displaced, abducted, enslaved and made victims of sexual and physical violence as a result of the escalating violence. This has increased since June 2014, when one third of Iraq was occupied by gangs of ISIS (Daesh) perpetrating the most heinous crimes, as contained in the report of the United Nations Office of High Commissioner for human rights in March 2015. In an atmosphere of unbridled violence, weak law enforcement institutions, absence of protection mechanisms and the entrenching of tribal and religious customs and traditions, women are more vulnerable to physical and sexual abuse, domestic violence, and denial of basic rights such as education, along with the emergence of phenomena and harmful practices, such as child marriage, temporary marriage, trafficking in women, so-called honour crimes. Women become the price to pay debts and settle clan disputes rather than be an active element in resolving disputes and negotiations, as stressed in the resolution 1325. Iraqi al-Amal Association in collaboration with Ala Ali (Independent Researcher/Analyst and Peace Activist) conducted a focus-group based conflict analysis of the Iraqi province of Nineveh. The findings provide important insights into recent developments in Iraq, and the advancement of ISIS. Several key issues contributing to and sustaining conflict were identified through this research, as were points of entry for peacebuilding, which can be capitalised on to reduce tensions. Iraqi civil society organizations and women activists, demand support through the work of the UNAMI and the United Nations family. CSOs present a number of proposals for consideration during the upcoming discussions of the UN Security Council on the renewal of the mandate for the United Nations Assistance Mission for Iraq (UNAMI). Given the current security situation which has continued to deteriorate due to the conflict with ISIL, which is threatening also the security of the whole MENA region and the global security, we are particularly concerned about the situation of women and children, especially those living in areas under military operations and the huge number of IDPs exceeding 4 million. Plus, CSOs are concerned about the gross violation of Human Rights. Reports of sexual violence against women and girls continue to be received and boys continue to radicalized and recruited as terrorist fighters. The new government of Iraq, announced last September 8 by the new Prime Minister Haider al Abadi was resented by the major organizations of Iraqi women because it includes only one woman among its 25 members (22 ministers and three deputy Pms). The Iraqi Women Network expects more women in decision-making positions, as promised by politicians. “It is unfortunate, says IWN that women remain victims of patriarchal bargains in the distribution of ministerial positions and the consolidation of the policy of exclusion and discrimination against women”. The women activists agreed to continue demanding to increase the share of women in the ministries that still have not appointed ministers, as well as deputy ministers within the cabinet, in the chairmanship of the parliamentary committees and in the presidencies of the independent commissions and boards. Iraqi Al-Amal Association, the Social Watch member in Iraq, mourns with deep sorrow and anguish, the assassination of one of its activists, Saad Abdul Wahab Ahmed. Unknown terrorists assassinated our Colleague Saad, with silenced guns in Muqdadiyah, Diyala Provence last Monday 18th August. We extend our deepest condolences to his family, friends and colleagues. Almost eleven years have passed since the US toppled Saddam Hussain’s regime, and Iraq still continues to struggle. In December 2013, Iraq national security forces stormed the private residence of the Iraqi Finance Minister, arresting several of his staff for supporting terrorism. This incident served as a trigger for sectarian violence throughout the Sunni triangle in southern Iraq – Al--‐Anbar Province. It was one of the areas that led peaceful demonstrations on February 2011, but subsequently witnessed the highest amount of sectarian violence, including government security force attacks on civilians. The recent advancement of Islamic State of in Iraq and Syria (ISIS or Daesh) forces in Mosul and other areas in Iraq has caused great concern about the prospects of peace. Policymakers are scrambling to figure out an appropriate strategy to limit further advancement and prevent further security breakdown. Ten CSOs are conducting their activities in accordance with the International Standards for domestic election monitoring. In order to support the conduct of free and fair Iraqi Parliamentary and IKR Provincial Councils elections on April 30, 2014, ten Iraqi CSOs from ten diﬀerent governorates came together to form an informal alliance acting in accordance with the “Declaration of Global Principles for Nonpartisan Election Observation and Monitoring by Citizen Organizations”. Hanaa Edwar, secretary general of Al-Amal Association, the Iraqi member of Social Watch has been named “Arab Woman of the Year 2013” by Takreem for her distinctive hard work, courage and successes in the field of civil society and human rights for equality, women's rights, and the empowerment of women to participate effectively in society and political life. In her speech at the award ceremony, Hanaa Edwar expressed her thanks, deep gratitude to Takreem, and stressed her sense of greater responsibility beyond the borders of her homeland. She also thanked her colleagues at Iraqi Al-Amal Association and many civil society organisations for the support and assistance she received during her work, who,together, planted the seeds of hope in the wounded Iraq. The "Arab NGO Network for Development (ANND)", in partnership with the "CSOs Partnership for Development Effectiveness” and ”Iraqi Al-Amal Association”, and in collaboration with the Parliament of Iraqi Kurdistan Region and the ICNL, organised the Regional Conference for the Arab Region on the Effectiveness of Development, in Erbil on 22 and 23 June, 2013. This Conference comes in the context of the “development effectiveness”, which was launched in 2003 at the first meeting organised by the Organisation for Economic Cooperation for Development in Rome, to discuss how to make the development aid more effective. The conference was followed by a meeting in France in 2005 which resulted in the Paris Declaration on Aid Effectiveness. In this meeting, and for the first time, a set of principles were discussed, including the principle of partnership between donors and beneficiaries, the principle of consistency between the policies and directions of the donors to avoid duplication and the discrepancies in standards, the principle of compatibility with public policies and national needs in the beneficiary country, as well as the principle of democratic ownership, including the ownership of decision, and avoid linking development aid with conditions on the policies. Representatives of civil society organizations; the signatories of this appeal, condemn the assassination in Basrah on 26 April 2013 of the activist, Jalal Dhiyab; the President of the Supporters Humanitarian Liberty Association, one of the outstanding defenders of human rights in Iraq, who has devoted much of his life to defend black rights for full citizenship, and his legitimate claim to address the culture of discrimination and the rights of black citizens in political representation and participation in public life, draw a road map for the achievement of equality and the promotion of political representation and participation in public life, draw a road map for the achievement of equality and the promotion of citizenship rights for all components in the process of building a democratic system in Iraq. Iraqi widow with her sons. 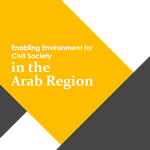 Political disputes and security challenges have hindered the stability required for the development of Iraq, according to the Iraqi Al Amal Association’s contribution to the Social Watch Report 2013. To get on the right track, says Al Amal, the Iraqi government must conduct the census that has been delayed since 2007, to collect reliable information for the design of comprehensive, effective and appropriately funded development plans. As the Security Council is discussing the renewal of the mandate of the United Nations Assistance Mission for Iraq this month, concerns remain regarding political consolidation and reconciliation efforts. Women’s rights remain at risk, and their voices are still not adequately heard in the political realm. The issue was debated in the panel discussion held in New York on 9 July 2012 by Hana Edwar, Founder and Secretary-General, Iraqi Al-Amal Association and Ms. Raz Rasool, Founder, Kurdistan Business Women Association. With insecurity and economic hardship, Iraqis are still paying the price of years of oppression and war, and women carry a heavy burden. Human rights activist Hanaa Edwar has never stopped fighting for women’s rights, said reporter Valerie Gauriat in a special coverage for Euronews TV network. Members of the Iraqi Parliament promised to make serious efforts to approve laws in order to ensure all women the enjoyment of their social and economic rights, guaranteed by the Constitution, at the request of Iraqi Al-Amal Association, focal point of Social Watch in that country. On October 29 Hanaa Edwar will receive the Sean MacBride Peace Prize in Potsdam, Germany, but she will not rest until seeing her efforts crowned in Iraq. “I have to do this for the Iraqi people. We continue to fight for peace, equality and democracy,” said Edwar, co-founder and current Secretary-General of the Al-Amal Association (focal point of Social Watch in that country), in an interview with the Swedish feminist organization Kvinna til Kvinna. 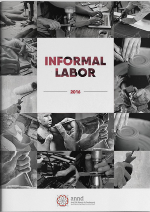 News and analysis by civil society organizations focusing on the cost of the war for civilian people. On May 18th 2003, the Iraqui Al-Amal Association, the national Social Watch Focal Point, has issued a newsletter on the Iraq war focusing on the analysis of the cost of the war for civilian people. On May 6th 2003, the Iraqui Al-Amal Association, the national Social Watch Focal Point, has issued a newsletter on the Iraq war focusing on the analysis of the cost of the war for civilian people. On April 14th 2003, the Iraqui Al-Amal Association, the national Social Watch Focal Point, has issued a newsletter on the Iraq war focusing on the analysis of the cost of the war for civilian people. On April 8th 2003, the Iraqui Al-Amal Association, the national Social Watch Focal Point, has issued a newsletter on the Iraq war focusing on the analysis of the cost of the war for civilian people.